These entertaining novels were either released in hardback or came out in paperback this past year. I’ve selected books that should appeal to a broad audience. Click on links for my reviews. Cassia trusts “Society” to make all the important life choices for her until she is accidentally matched with two boys for her life partner. Handsome, kind and smart Xander is her best friend, but Ky is a mystery, a boy living on the fringe of Society. Does she go with what is safe or risk everything to challenge the system? In this romantic tale, banned poetry becomes a weapon for revolution. “Then, the question I asked myself was: Do I look pretty? Condie’s paternalistic dystopia is very typical of the genre, but the romance angle is fresh. 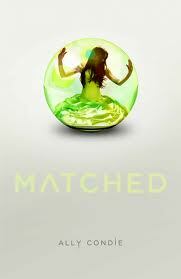 Matched is quite similar to The Giver by Lois Lowry. The writing and pacing made for easy, engaging reading. I read it in one day. The story felt a bit predictable, but there was a clever twist towards the end. The most interesting relationship was between Cassie and her grandfather, rather than with either of the boys. For a romance it was missing sizzle, but the dystopian world was well developed. Definitely a girl book and appropriate for tweens as well as teens. Matched would make a really good holiday gift. Doesn't the cover look like a spooky Christmas tree ornament? 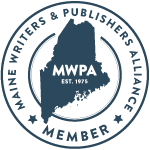 Matched received starred reviews from both Kirkus and Publisher’s Weekly. First book in an upcoming trilogy to be released on November 30th in the USA. I borrowed the ARC from a friend. The protagonists of these three realistic novels are girls who defy gender stereotyping. Boys will enjoy them too. The contemporary subject matter is handled in classic style, reminding me of books from my childhood. Molly wants to join the eighth grade boy’s baseball team as the only girl. It’s her way of connecting with her baseball fan father who died recently. He taught her how to pitch a knuckleball/butterfly. "The knuckleball wasn’t just a pitch. It was an attitude toward life; it was a way of being in the world. It was a philosophy. ‘You don’t aim a butterfly,’ her father used to say. ‘You release it.’ Each pitch had a life of its own. It wasn’t about control, it wasn’t about muscle. Each floating and fluttering pitch was a little miracle. It was all about surprise." Now Molly has to convince her teammates and her mother that she has a right to play baseball instead of softball. Mick Cochrane writes beautifully about friendship, first romance, family, grief, personal identity and, of course, baseball. The only part that rubbed me the wrong way was a girl player tap dancing in outfield. The implication was that boys take baseball more seriously than girls take softball. This otherwise perfectly crafted book manages to be both moving and funny. 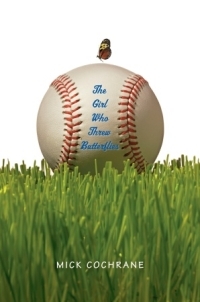 The Girl Who Threw Butterflies received a starred review from Kirkus and was a Booklist Top 10 Sports Book for Youth. I bought this paperback at a school book fair. I've been looking for sporty girl books since my work in progress, NOT CRICKET (renamed A MATCH FOR EVE), is about an American softball player who wants to play cricket in England. 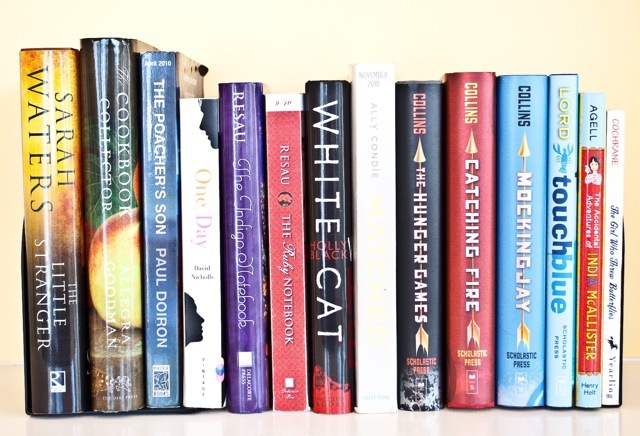 I'd love more recommendations, especially cricket or softball novels for teens. More gift book ideas? Leave a list in a comment or the URL to a list on your blog. I'll add a link to your gift book post here (up until the week before Christmas/Kwanza - Hanukkah starts next week.) I'll be mostly offline over this holiday weekend but will catch up soon. Happy Thanksgiving, Sarah! And thank you for the book suggestions. now that i'm back from my travels, i appreciate this head's up of great gift ideas! such a great message for our young women today. Dear Sarah, Thank you for the introduction to the novels of Sarah Waters and here is another recommendation that I shall certainly be following up. Best wishes for a Happy Thanksgiving Weekend! I see two books that have caught my eyes(The Little Stranger and The Cookbook Collector)--I will be looking into buying them. I always enjoy your book suggestions. Take-Care and have a very Happy Thanksgiving! Happy Thanksgiving to you too! There is just something comforting about a shelf of books when it is cold and dreary outside. Happy Thanksgiving to you too! Although it's not a tradition here in the UK. Thanks for your suggestions. Thanks for these gift ideas. Giving good books is my idea of spreading good cheer. Happy Thanksgiving, Sarah. Thanks for a great blog! Nice to have a list of all these books in one post. I know it took time to pull all the links together. I hope you had a lovely Thanksgiving Sarah. These are wonderful suggestions. I too love the quote . . . "Do I look pretty?" now "Do I look strong?" Thanks for the book suggestions, Sarah. I'm always on the lookout for a new book to read. Interesting to see the "Hunger Games" trilogy here; I'd forgotten that you had reviewed those books. I haven't read them, but while substituting the other day, I found this was a popular series among many of the high schoolers today. Here is my rather short list. For the best adult novel of the 21st century (not historical fiction) so far. Freedom by Jonathan Franzen. Better even than his brilliant masterpiece The Corrections. I think so. All, it was so nice to be welcomed home by your comments. I was in NYC for Thanksgiving. ACIL, my in-laws came over for Thanksgiving years ago and loved it so much they started hosting their own in England, using some of my mother’s recipes. Troutbirder, thanks for the recommendation! Bee Drunken also recommended Freedom. My father is reading it now. I gave up 50 pages in, but perhaps I should have kept going. Beth, thanks so much for the recommendation. I just checked out the author’s website and Dairy Queen looks fun. I'm looking for books about girls joining a boys' team too. Great book ideas. I have some garden books I am Giving Away in December to celebrate my Blogoversary. What a timely post! In fact, I came to your blog to jot down some of the books you have reviewed in the past few months. I'm about to place an Amazon order for Xmas. Looking forward to your review of The Cookbook Collector. That sounds right up my alley. I hope your family had a lovely Thanksgiving. Any snow there? We got our first dusting of it today. Commonweeder, happy Blogoversary and welcome to my blog! Bee, The Cookbook Collector was written for you. I thought of you while reading and how much I would enjoy sharing it with you. The review is up now. Thanksgiving was fun. There was no snow in NYC but a small storm in Maine on the day we returned home. Only a minor dusting. It looks England had more, amazingly. Charlotte, you swam in the ocean when it was snowing?! That sounds like something India would do with Colby. I guess I shouldn't complain about how cold the indoor swimming pool was after vacation. Thanks for these recommendations! The Cookbook Collector and One Day both sound good to me! Booksnyc, you chose the two I'd have recommended to you. I'll be posting my review of One Day and some other books on December 8th. I'm glad you linked to your past reviews. I'd missed the Sarah Waters interview for "The Little Stranger" that you posted in the spring. I enjoyed reading it just now. I read that book over Halloween weekend this year and I couldn't put it down! Donna, thanks for sharing your opinion of The Little Stranger. It’s also nice to hear that the links are worth the time.